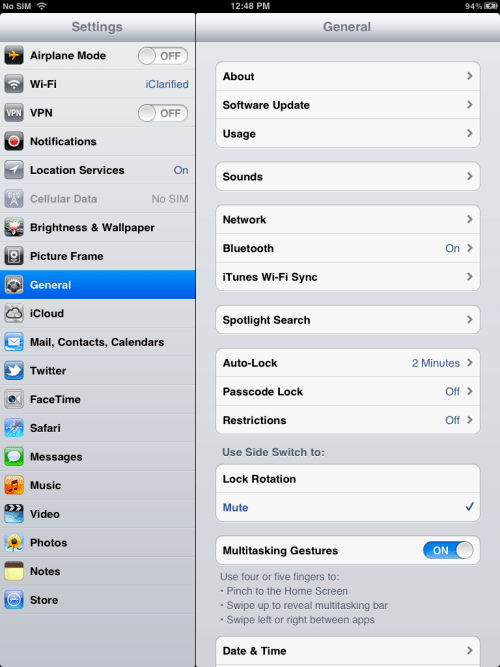 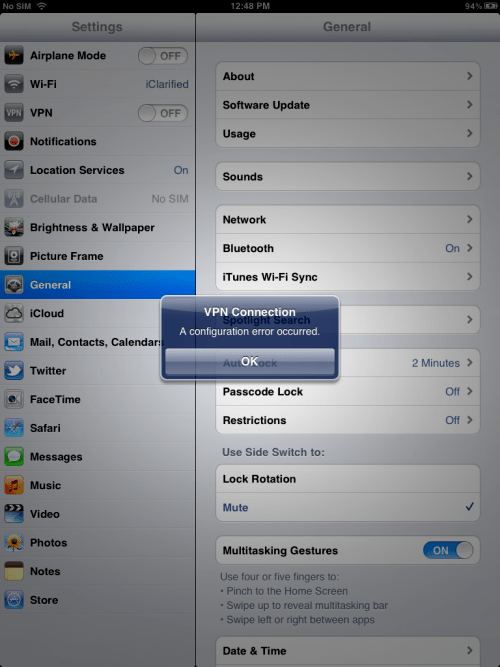 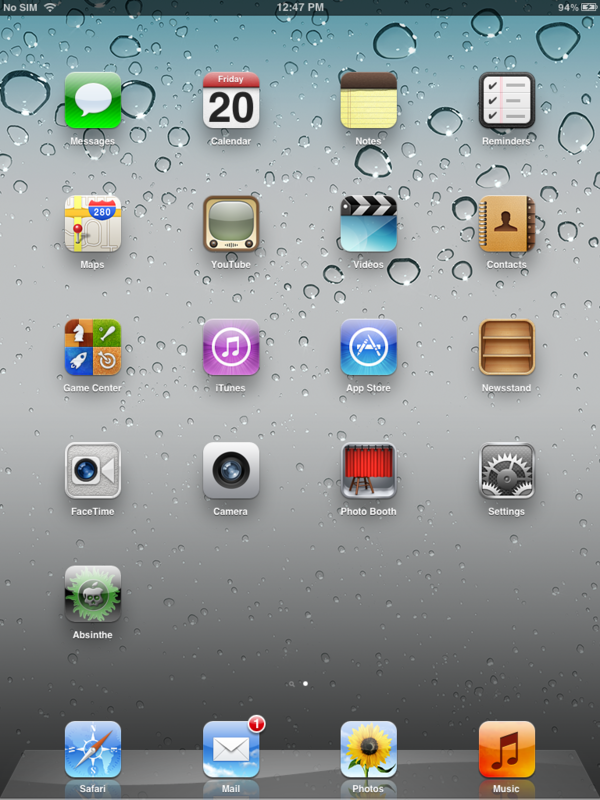 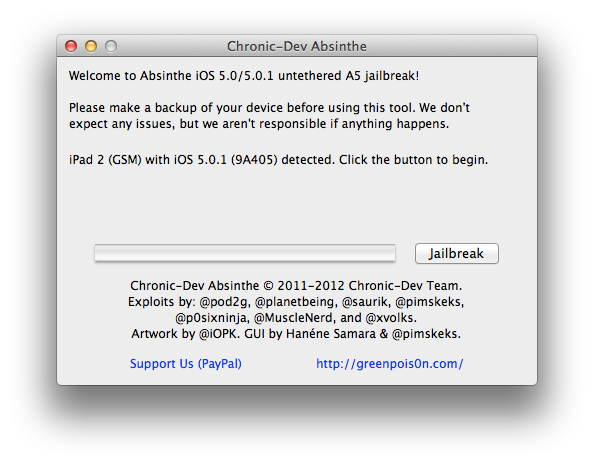 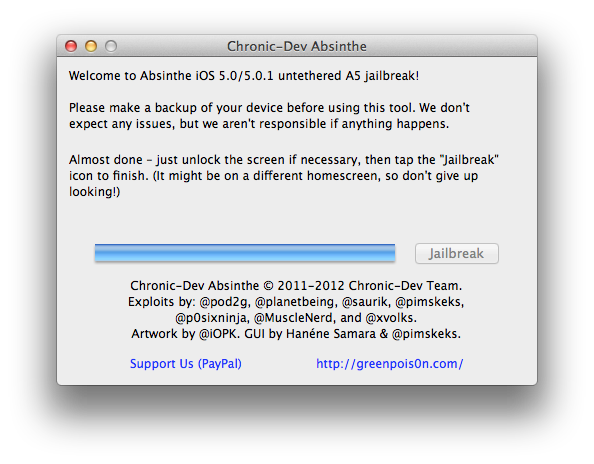 These are instructions on how to perform an untethered jailbreak of your iPad 2 running iOS 5.0.1 using Absinthe for Mac. 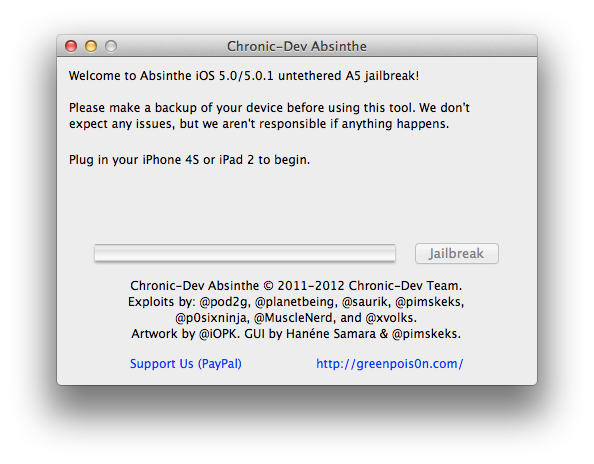 Double click to extract the downloaded archive and launch the Absinthe application. 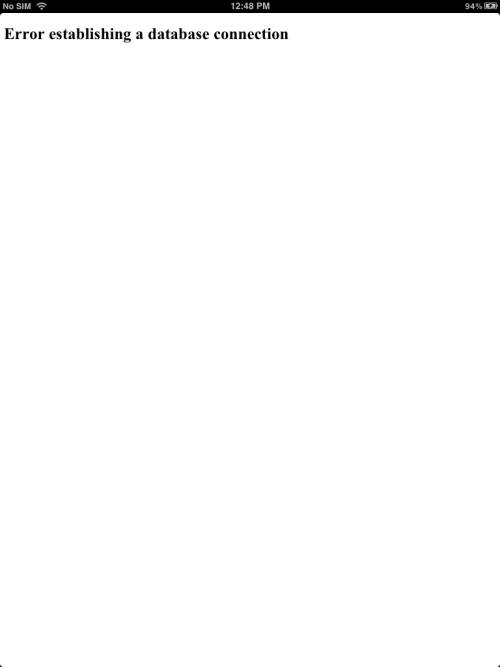 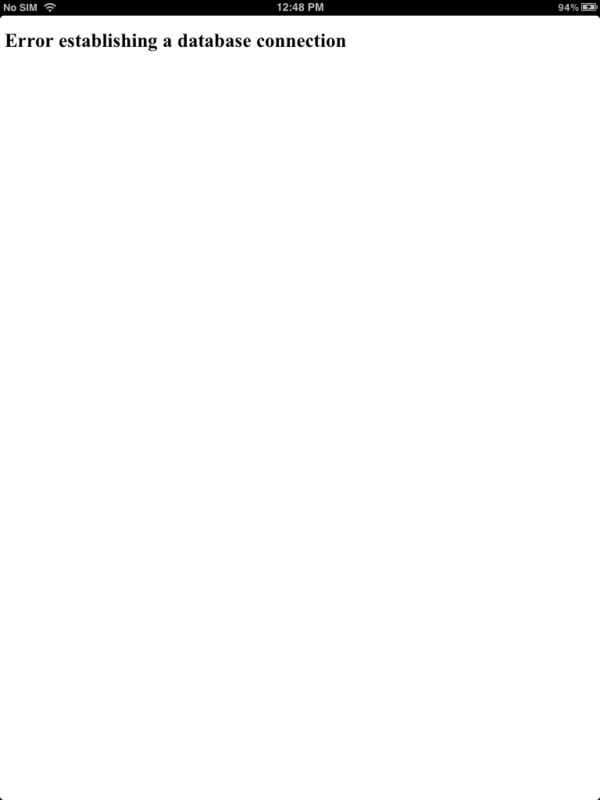 *If you are still unable to succeed please be patient as the dev team's servers are being hammered!